A single-feed canopy is mounted to the ceiling above the Two-Circuit MonoRail run. It brings power to the Two-Circuit MonoRail run from a remote two-circuit transformer (sold separately). The low-voltage leads from the remote transformer are connected to the canopy leads inside the junction box. 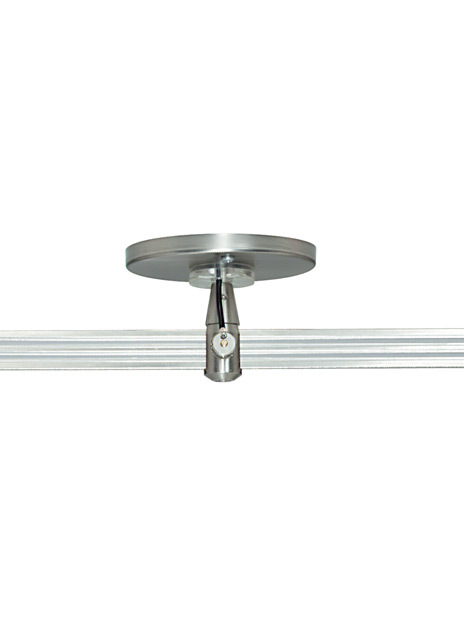 This canopy provides two independent circuits.